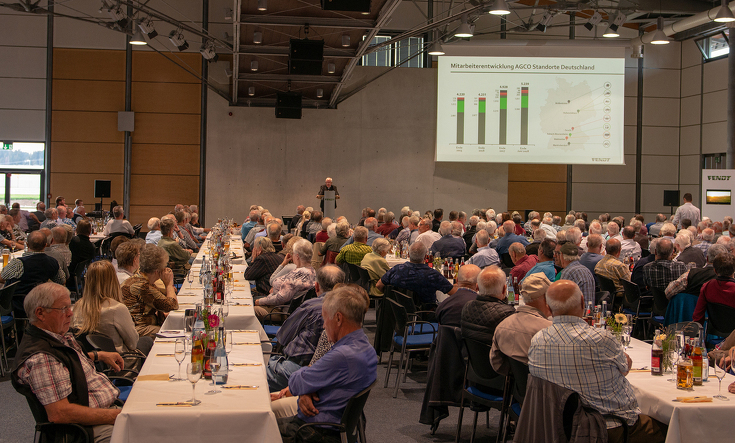 On 11 October 2018, a happy reunion was celebrated by 395 past Fendt employees in the Fendt Forum exhibition hall. This was the 39th annual Former Colleagues' reunion. 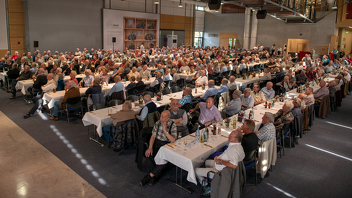 Former employees from the headquarters at Marktoberdorf were invited, as well as those from Kemptener Maschinenfabrik (KMF), a former subsidiary of Fendt. 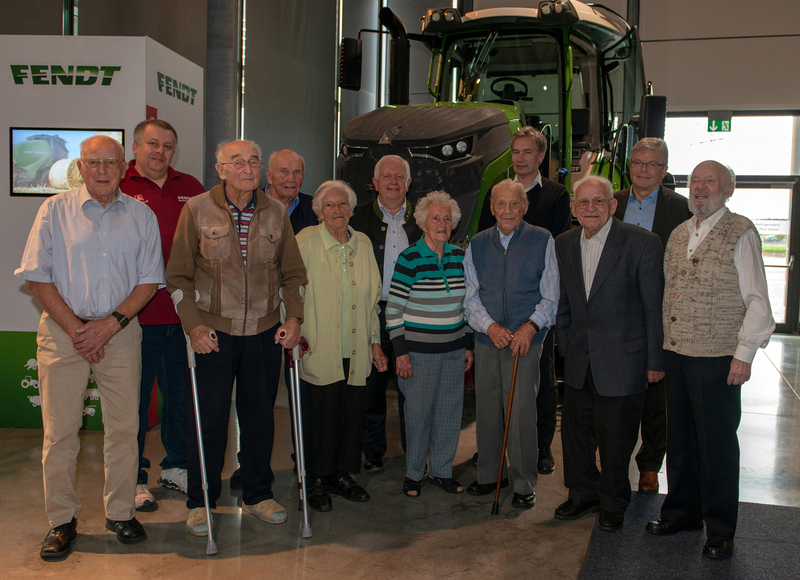 The former and still active Fendtlers were welcomed by the Chairman of the AGCO/Fendt Management Board, Peter-Josef Paffen, who informed them about the company's current growth and thanked them for their long-standing commitment. 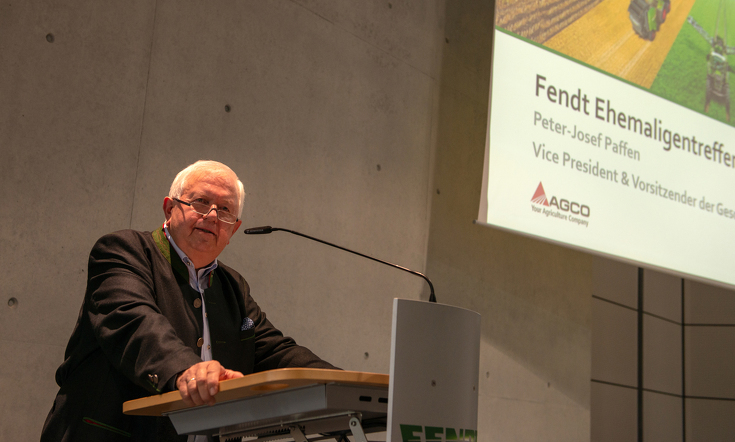 In light of current sales, research and employee developments, as well as the extended Fendt Full Line range, Peter-Josef Paffen exclaimed: "Fendt is as strong as ever!”. With a short film on Fendt Field Day in Wadenbrunn, the retirees were given a taste of one of the highlights on the Fendt calendar. After a brief speech by Michael Schnitzer, Chairman of the Works Council, the former employees had plenty of time to have a relaxed chat about the years and moments they shared. It was Beyaz Bahattin's first reunion. "Meeting my old colleagues is so precious," says the 64-year-old. "We go back a long way, I worked with them, had fun and sometimes spent more time with them than with my family. I'm here because I have missed seeing my colleagues." Beyaz worked at different sites and in different positions for Fendt for around 48 years, most recently as a training workshop instructor. His secret for a happy retirement after Fendt: "I may be old, but I'm always on the lookout to do something new. Never stop learning new things," he says, smiling. Front row from left to right: Xaver Bresele (93), Herbert Haslbauer (94), Walburga Weber (92), Kreszentia Puffer (93), Anton Dolch (95), Franz Neumaier (92), Sebastian Bauer (92). Back row from left to right: Michael Schnitzer (Chairman of the Works Council), Eberhard Bernd (92), Peter-Josef Paffen (Chairman of the AGCO/Fendt Management Board), Ekkehart Gläser (Managing Director of Production), Dr. Heribert Reiter (Managing Director of Research and Development, Purchasing and Customer Services).